Today we’re delighted to be introducing our new range of coloured stoneware plates. These stunning plates, which can be used for serving any course, are available now from the leading crockery hire experts here at Event Hire UK. They have a wonderful luxury feel and finish, providing professional caterers with the opportunity to differentiate their dining event from the rest. Named after planets of the solar system, each of the plates has a unique design and colouring which are sure to make them a real talking point at your dining event or special occasion. These stoneware plates for hire are another example of Event Hire UK keeping in tune with the market. We have recently launched a range of brand new products within our crockery hire, glassware hire and cutlery ranges such as these stoneware plates, our new range of Invitation wine glasses and stemless wine glasses as well as our brand new Allure gold cutlery range, ensuring that our clients benefit from being able to hire the very latest items in the hire market for their guests and clients. 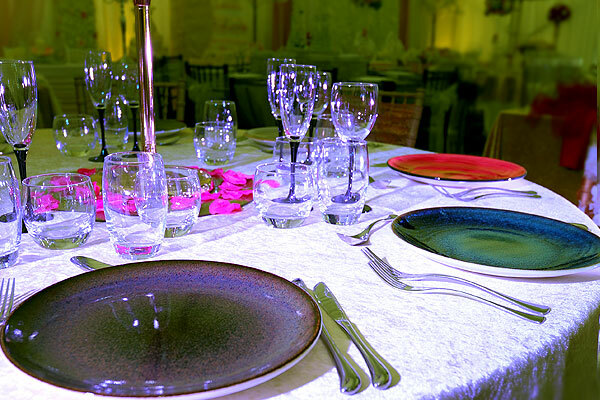 Place your order for best quality crockery hire online today and put your faith in the hands of the experts!